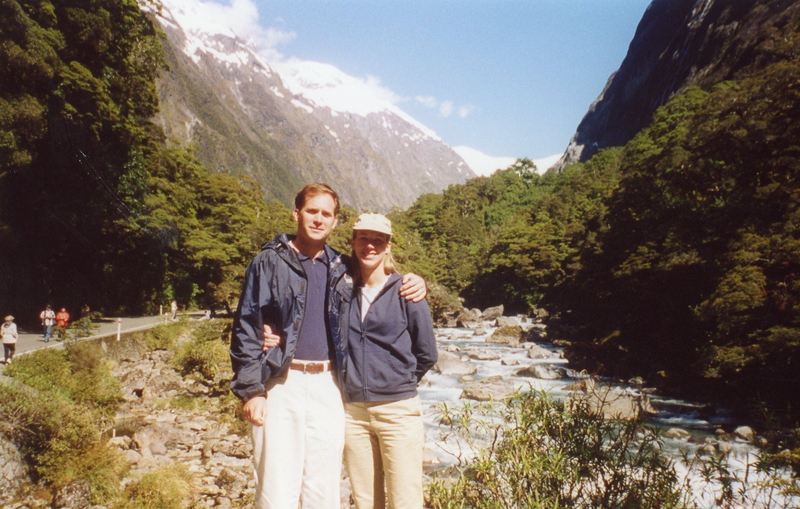 After traveling to the world-famous fiords of Norway and being blown away by their sensational beauty, I knew that Paul and I would have to make time for a trip down south to New Zealand’s Fiordland National Park. 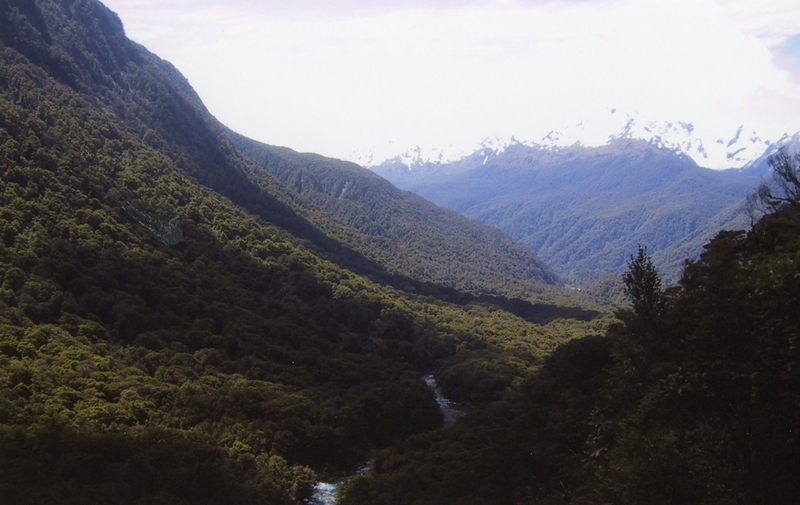 Fiordland National Park is located on the Southwestern part of New Zealand’s South Island and is the country’s largest park with over 21,000 square km/8,100 square miles of pristine forests, mountains and lakes. The region is composed of over 14 fiords and five major lakes that are flanked by steep, jagged mountains coated in rainforest making this part of the world virtually impenetrable except along the 310 miles of tracks (hiking trails) or by boat. 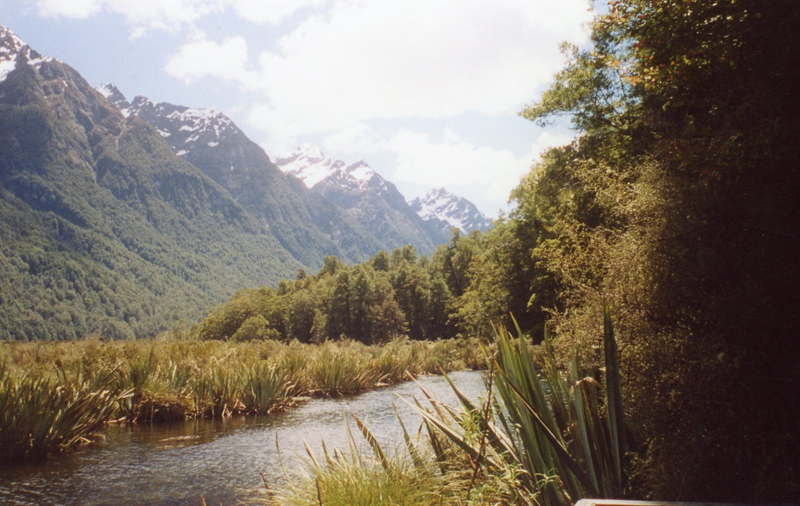 I had heard that Fiordland offered some of the best scenery in all of New Zealand and after the sheer, pure beauty we had seen so far, I couldn’t imagine that we would see anything finer. A sneak preview of what’s to come…. We had two days set aside for our trip and after careful consideration chose to take a trip to the Milford Sound, one of the most spectacular places in all of New Zealand (so spectacular that it requires over a year wait to book a permit to do the four-day Milford Sound Trek, rated as one of the best treks in the world). 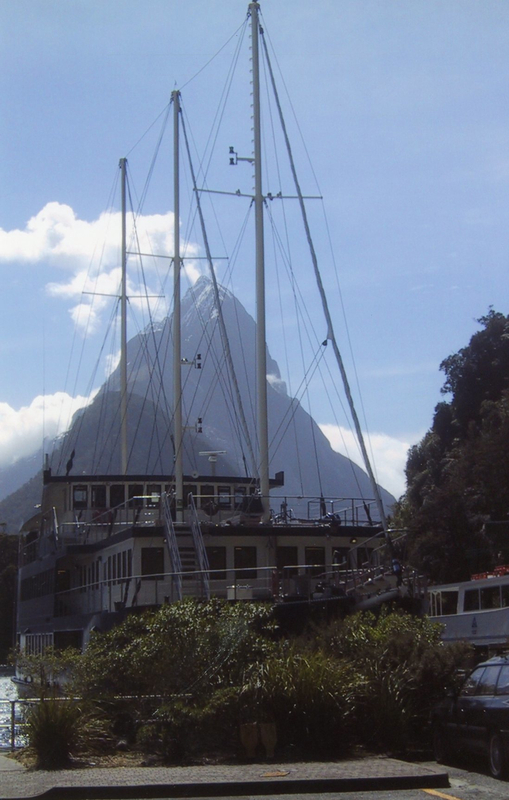 Although I am not usually keen to taking tours, the best way to see the Milford Sound in a short amount of time was offered by the Kiwi adventure travel group Real Journeys. Our tour included the 5 1/2 hour bus ride to/from the Milford Sound, stops along the way to marvel at the serene surroundings, and an overnight cruise into the 16 km/10 mile long sound. Although I was a little wary about taking a tour and being herded in with a bunch of strangers, it actually wound up being a great decision and we had a ball. Here is a picture of our funny looking albeit very comfortable bus. It is elevated in back in order to provide everyone on board with a perfect view. The tour bus ended up being a great way to sit back and relax while someone else was doing the driving. 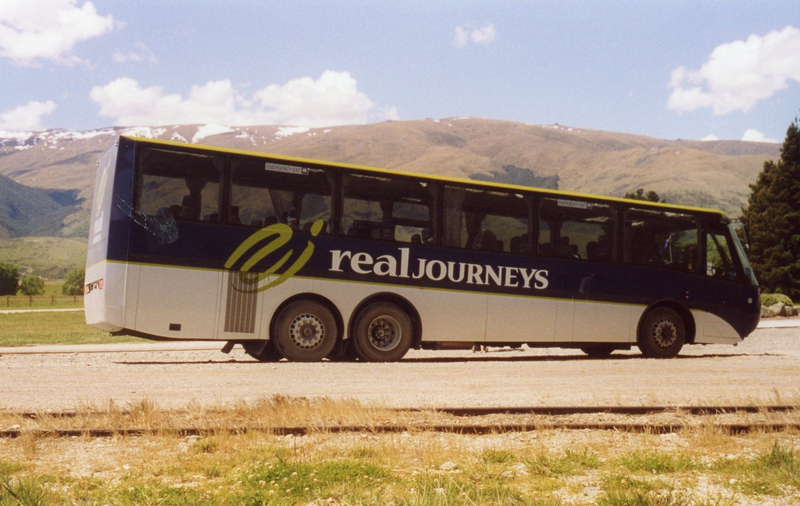 The scenery was so sensational that we were glad to enjoy it from the nice big windows of the Real Journeys bus. En route to Milford Sound. We made a stop and snapped photos of the magnificent landscape. One of stops was at Mirror Lakes, famous for their mountain reflections across the water. We got off the bus to stretch our legs and posed for a photo opp. Here we are, the happy couple! We had a forty minute lunch break here at the lovely Lake Te Anau, the first view of Fiordland. The landscape is lush and full of life. It was so peaceful and pure. The air was fresh and if you closed your eyes, you could hear the different birds singing their cheerful songs of joy. 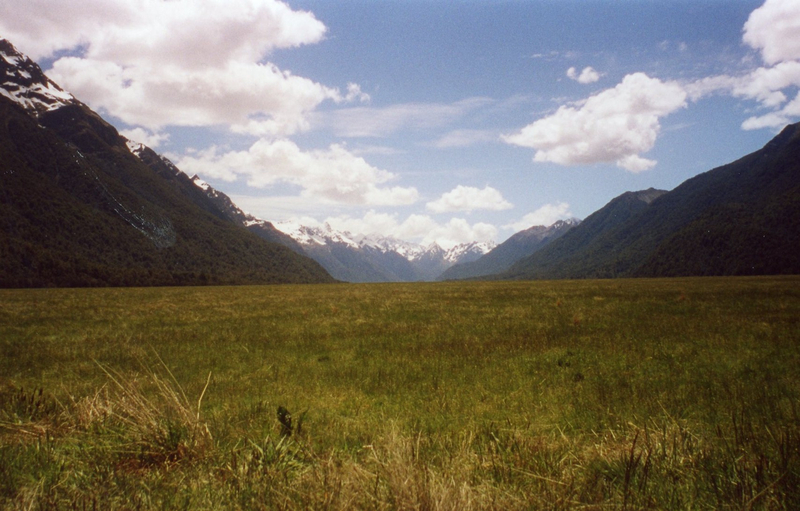 The two-hour drive from Te Anau to the Milford Sound is known as one of the most beautiful drives in the world. We drove through massive valleys where you could see the remains of recent avalanches, and there were waterfalls everywhere, dripping down the lush green mountainsides. It was truly unbelievable. My only regret was that I am not a professional photographer yet I’m not sure if the beauty of this place can be fully appreciated without seeing it for yourself. We finally arrived at our destination, the Milford Sound, around three o’clock. By that point, we were ready to get out of the bus and explore our surroundings. 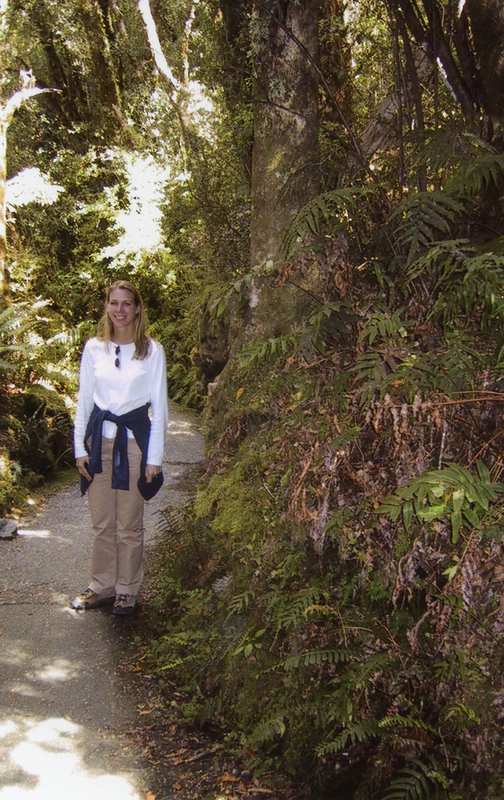 The first thing we did was take a short hike to a nearby waterfall overlooking the Milford Sound. Here I am, all smiles, in my element and ready to seize the day! 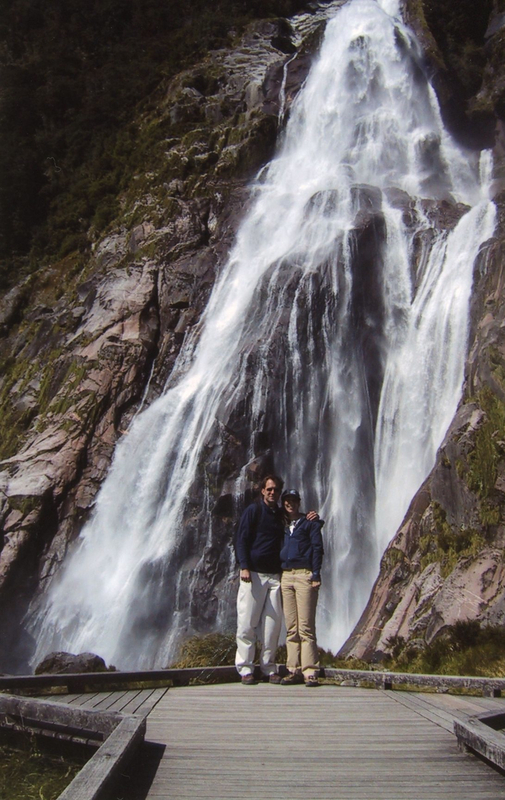 We followed a short path through the silver ferns and came upon a spectacular sight…..
Paul and I posing near the dramatic waterfall at the base of the Milford Sound. We could feel the drops of water on our backs. Up close and personal with a 500 foot waterfall. We headed back to the bus and were led down a short path to the dock where we would board our vessel that would carry us out into the Milford Sound and act as our hotel for the night. It’s rustic appeal was fantastic. I had never slept over night in a fiord and was looking forward to the adventure! Behind the ship you can see Mitre Peak, which got its name from its resemblance to a bishop’s mitre. 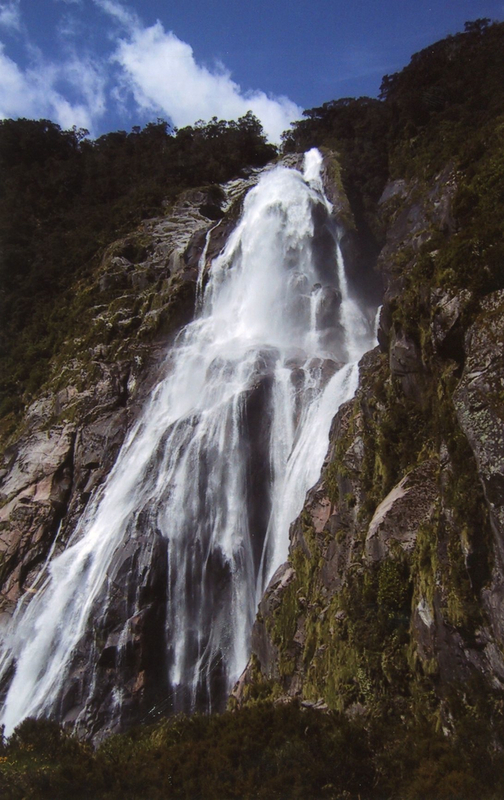 This is the Milford Sound’s most famous landmark. 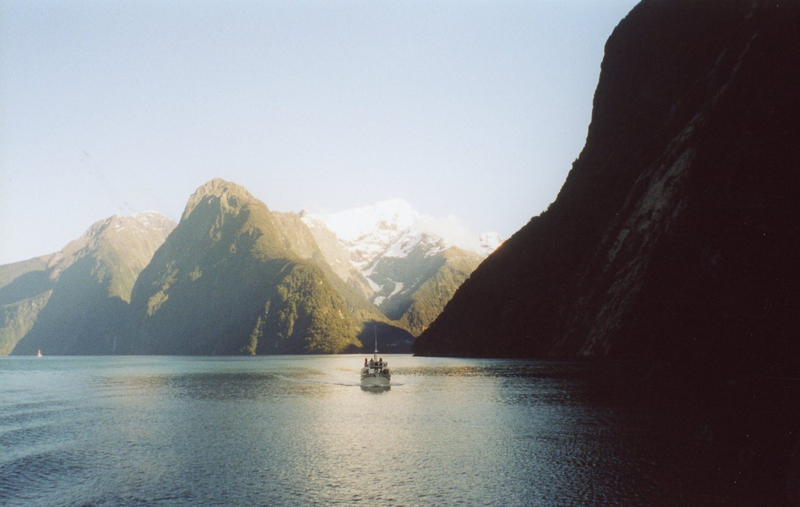 We looked out upon the breathtaking Milford Sound and nearly jumped for joy. There was hardly a cloud in the sky. It was perfect. For a place that rains on average 330 days out of the year, the sunshine was like a strange omen of happiness and joy. I could hardly wait to board the ship and set sail into one of man’s most untouched places in the world…pure utter New Zealand at its finest. 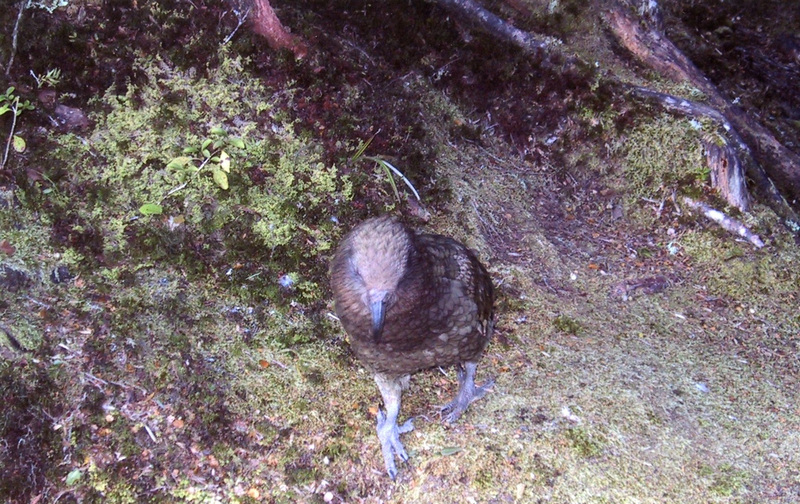 Stay tuned…next post will show you some incredibly lovely photos from inside the Milford Sound where we saw lots of unexpected visitors. P.S. It may be a little quiet here for a few days as I’m headed out to Taos, New Mexico to go skiing as a three generational team! My father, myself and my five year old daughter…..
That first photo is stunning. Can’t believe how much it looks like Halong Bay in Vietnam. Have a great time skiing! Thanks Kathy! I would LOVE to go to Halong Bay. I’ve seen pictures and it looks absolutely amazing! This place looks so beautiful and peaceful! Through your photographs I can feel how serene and natural it is, let alone going there myself. In elementary school my principal took vacation in New Zealand and invited a native New Zealander to come to Canada and talk to our school about New Zealand’s history and culture and so on. Our principal also put on a slide show for us of all the pictures he had taken. Very beautiful and interesting place! What a landscape! Wow! That is really cool! Thanks for the comment! That is so cool and especially that you remember. New Zealand must have really effected you at a young age. Thanks for sharing!